You / User: Any visitor to this website, registered or otherwise. Paid or Free registered users. Law denotes laws in force in India and as enacted by Indian Parliament and Legislature of Indian States and Union Territory. Welcome to YT Matrimony.com (herein referred as YTM). Please read the following terms and conditions very carefully as your use of the Website and associated YTM Services (as defined below) is subject to your acceptance of and compliance with the following terms and conditions including the applicable policies which are incorporated herein by way of reference and as amended from time to time (the "Terms and conditions"). ACCESSING, BROWSING OR OTHERWISE USING THE WEBSITE INDICATES YOUR AGREEMENT TO ALL THE TERMS AND CONDITIONS herein, SO PLEASE READ THE TERMS and conditions CAREFULLY BEFORE PROCEEDING. By impliedly or expressly accepting these Terms and Conditions of use of website, YOU also accept and agree that YOU have read, understood and are bound by these Terms and conditions, regardless of how YOU/YTM member subscribe to or use the YTM Services. If YOU do not want to be bound by the Terms and Conditions, you must not use the Website or the YTM Services. 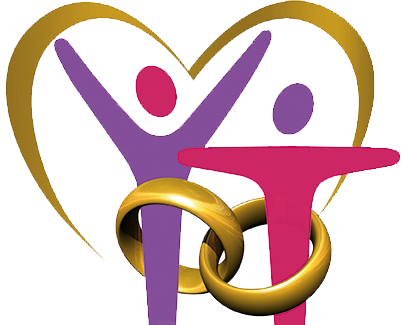 Website acts as a platform to enable any user to themselves register on it (by filling the mandatory fields and optional fields, if any) to voluntarily search for profile(s) from the database of YTM Matrimony's ['YTM'] already registered users, for seeking prospective lawful matrimonial alliances for themselves. CM retail store may also be able to assist you to create your profile; however, you must have a valid/operational mobile phone number and an email id. YTM Members are provided with free/paid access for searching profiles from the database of YTM Website, as per the partner preference set by YOU (on the Website) and YOU shortlist the prospective alliances yourself. i) Indian Nationals & Citizens. ii) Persons of Indian Origin (PIO). iii) Non Resident Indians (NRI). v) Persons who intend to marry persons of Indian Origin. iii) Not prohibited or prevented by any applicable law for the time being in force from entering into a valid marriage. a) We expect that YOU would complete the online registration process with fairness and honesty while furnishing your personal informations to YTM Website. You would appreciate that efficient and effective match making through our automated system depend upon yourself furnishing true, accurate, current, complete information and photos etc. We expect you to read the relevant column before keying in the details or selecting the option available or uploading the photo. You are requested not to key in details of the profile in field other than the applicable field (including mentioning id's of other platforms/websites/ applications) or repeating your details in another fields, after filling them once in the relevant fields or others photographs. You further undertake that you alone shall be responsible or liable for any information provided to YTM Website. In order to serve you better if YTM requires additional details you agree to provide it. YTM Website shall reproduce the registered member details on "as is as available" basis to other registered members and YTM members shall be solely liable for the information given by such YTM member. You may also give a missed call to any of our retail outlet phone numbers to assist you in registration process on YTM Website. Further you may fill in your email id and phone number in any of our registration campaigns appearing in various websites as part of our advertisements, basis which you may receive call from our Customer Service Centre and assist you in getting your profile registered on our website. YTM may also reproduce your profile information in other consortium of websites owned by YTMEML to provide better prospects to you. b) If at any point of time YTM Website comes to know or is so informed by third party or has reasons to believe that any information provided by you for registration (including photos) or otherwise is found to be untrue, inaccurate, or incomplete then YTM Website shall have full right to suspend or terminate (without any notice) your YTM membership and forfeit any amount paid by you towards YTM membership fee and refuse to provide YTM service to you thereafter. c) YTM Membership is restricted strictly to the registered YTM Website individual member only. Organizations, companies, businesses and/or individuals carrying on similar or competitive business cannot become Members of YTM Website and nor use the YTM Service or YTM members data for any commercial purpose, and YTMEML reserves its right to initiate appropriate legal action for breach of these obligation. a) YTM Website is an endeavour to help YOU find your life partner (prospect) through of process of automated searching, short listing and contacting prospects amongst our registered members. b) YTM Website reproduces your details once YOU register on our website on "as is as available" basis and also share your profile with other registered YTM members within YTMEML consortium of website(s). c) YTM Website's obligation is only to provide an interface to its registered members to search their prospect themselves without any assistance from third party / persons from amongst the other registered members of the Website. You agree that the system generated search results of YTM Website are only of the profiles registered members on Website. d) YTM Website's automated system offers match making profiles between its registered members based on the partner preference set by each such YTM member. e) The search conducted by any YTM member and the results thereof are automatically generated, and based on the partner preference set by you. In the event YTM member changes their partner preference on the Website, then the automated system generated prospect results of the Website may also undergo corresponding change. f) YTM Website cannot guarantee or assume responsibility for any specific results from the use of the data available from the YT service or from the consortium of websites/portal's of YTMEML. g) The YTM members agrees and understands that YTM Website may also allow third parties to provide YTM members services on the website., and YTM Website may also collect the payment for such third party services to YOU. a) To protect the broader interest of the registered YTM member and increase the efficiency, YTM members ensure to keep their username and password safe and confidential for using the YTM services. b) Any additional information / data required by YTM Website for using the YTM services shall be provided by the YTM Member, as and when so sought by YTM Website. c) In case partner preference is modified by YTM member, then the automated system generated prospect search results in website may also undergone corresponding changes. d) YTM members are requested to exercise due care and caution while shortlisting the prospect and satisfy themselves before making a choice of your match through adequate efforts, initiatives and due diligence. YTM Website shall not be liable for short coming due to any misrepresentations made by any of its YTM members. e) YTM Members are expected to verify the credentials of the prospect such as family status, marital status, educational qualifications, financial status, occupation, character, health status, etc. f) To get better search results, YTM Members are expected to provide latest photograph which should not be more than 90 days old. Providing old photographs/ photographs of others, inaccurate / false information shall be treated as violation of terms and conditions and YTM Website shall retain their right under clause 2 (b) of this terms and conditions. g) YTM members are expected to disclose their health records during profile enrolment which includes any pre-existing illness, physical disability etc. Non- disclosure at the time of enrolment shall be treated as violation of the terms and conditions and YTM Website shall retain their right under clause 2 (b) of this terms and conditions. i) Entering into any financial transactions with prospects. ii) Sharing of confidential and personal data with each other but not limited to sharing of bank details, passwords etc. iii) Entering into physical relationship with any prospect before marriage. iv) Violating any law for the time being in force. v) From mentioning details of other matrimonial services while sending personalized messages. i) YTM Members are expected to be cautious of prospects who call from multiple phone numbers, only interact over phone, doesn't come forward for face to face meeting (physically or through video calls) and don't involve family and friends in match making. Beware of suspended profiles status before YOU finalize an alliance with the prospect. j) The YTM members agrees that for getting effective search results of prospects on Website, you will regularly log in to the profile maintained in the Website and send expression of interest which is an automated messages to prospects as a free YTM member, and in the event you have availed paid YTM package, you can send personalized messages to prospects to show your expression of interest/replies.YTM member also may review the expression of interest sent to YOU / read the messages sent to YOU by prospects and may respond suitably. k) YOU also agree that while accessing / using the Website, YOU will be guided by the terms and conditions of the Website including but not limited to the use of feature of website like chat instantly with prospect, enhancing privacy settings (photo/phone number) or for viewing social and professional profile of members on their Facebook, LinkedIn, etc. l) YTM member shall not assign or transfer your YTM membership to any other person or entity, and such an act shall be treated as violation of terms and conditions and YTM Website shall retain their right under clause 2 (b) of this terms and conditions. m) If the YTM Member fails to inform YTM Website, about any change in the particulars furnished by YTM member to other YTM member, then the YTM membership may be suspended by YTM Website at its sole discretion. n) YTM Members are expected to inform YTM in the event of their marriage to facilitate YTM to delete their profile. a) YTM member hereby consents for receiving communication including promotional communications through any medium of communications such as Emails and /or SMS/Calls from consortium of portals owned by YTMEML or their alliance partners. b) YTM Website may contact the member through any of the above media to share the profile of the prospect by way of internal messages / links. YTM member confirms that the mobile number submitted to it for verification or alternative number if any provided, is not registered with the Do Not Disturb / National Customer Preference Register and they shall not initiate any complaint. YTM Member further confirms that even if YTM Member is registered with the telecom service provider under the category Do Not Disturb / National Customer Preference Register the calls from YTM either to the verified mobile number or alternative number if any provided shall not be treated as promotional calls. c) YOU are also entitled to set up your communications frequency from YTM Website, like - only on weekends or fortnightly etc. You may also opt for not getting any call from YTM by ticking the appropriate box in the Website, provided that, you agree to receive calls from Relationship Manager of Assisted Matrimony/ Elite Matrimony for contacting you as a shortlisted profile for their registered members. a) YTM Website has reasonable processes and system in place to maintain confidentiality of all personal information other than those meant for sharing with the prospect furnished by YTM members and YTM Website may at its sole discretion and cost take bona fide steps for maintaining the confidentiality of the information in compliance with applicable law. However, YTM Website/YTM member may divulge such information if required by law. b) You agree that YTM Website has all the right to process your data through the automated process to serve YOU with suitable profiles (based on your set partner preference) from YTM Website may also send you communication in this regard. (i) YOUR feedback does not contain confidential or proprietary information of yourself or third parties. (iii) YOU are not entitled to any compensation or reimbursement of any kind from YTM Website for the feedback under any circumstances. YTM Website has taken reasonable steps to protect the YTM member's privacy and shall take all reasonable efforts to protect any personal data provided to us through reasonable security safeguards against such risks as loss or unauthorized use, destruction, use, modification or disclosure of data etc. Although we will strive to safeguard the confidentiality of YOUR personally identifiable information, any information transacted over the Internet cannot be made absolutely secure. You also agree that the copying the data by using technology or any other new methods of data misuse/theft cannot be secured by YTM Website and that YTM Website will have no liability for any such act. YTM member understand and agree that YTM Website will have no liability for disclosure of your information due to errors in transmission or unauthorized acts of third parties. YOU agree that, when YOU use third party services through Website, YOU hereby grant YTM the right to share your information needed for providing such third party services to YOU or in relation to processing YOUR information for office use of YTM Website/its payment gateway and/or such third party service providers. a) YOU and the prospect are both registered YTM members/YTMEML consortium of portals and are bound by these terms and condition. We request YOU to give truthful information about yourself on the website to avoid dispute between YOU and the prospect. b) YTM Website is not a broker or the agent of any YTM member, and YTM Website does not partake in the exchange of any kind of discussion between the YTM members and prospects or the results of their discussion. c) YTM Member's are solely responsible for the communications (through any medium) with prospect or vice versa. YTM Website expressly disclaims any responsibility or liability for any transaction(s) or exchange(s) or interaction(s) or passing of information(s) etc. between any YTM members inter se via e-mail, chat, interaction or any other medium of communication between YTM members either using website or otherwise. d) YTM Website has no obligation, to monitor any such disputes arising between the YTM members, and YTM Website shall not be party to any such dispute/litigation etc. a) www.ytmatrimony.com is a domain registered in the name of YT Matrimony and Events Management LLP (YTMEML). YOU agree that all content of YTM Website belong to YTMEML excluding your or third party content including advertisement on the Website for which YTM has requisite license/right in terms hereof to display the same on our Website. b) YOU acknowledge that YOU are responsible for the content (mandatory or optional content YOU provided on our website) and information including the profile details, photograph and other content(s) keyed in the relevant field of the website at the time of the creation of the YTM profile or subsequently modified by YOU and also for all the post and communication (including personalized messages sent by YTM paid members) with other member(s). YOU hereby represent and warrant that YOU own all rights, title and interest in your content/information or have the necessary licenses, rights, consents, and permissions to provide the said content/information. However, by submitting the content/information to YTM Website, you hereby grant YTM a worldwide, non-exclusive, royalty-free, sub-licensable and transferable license to use, reproduce, distribute, prepare derivative works of, display, publish, communicate to the public, law enforcement agencies, courts, and the YT's business and services, including without limitation for promoting, communicating to the public and redistributing part or all of the content/information (and derivative works thereof) in any media formats and through any media channels. YTM also reserves the right to block the registration of your profile on website, if any, in the case of your contact details/links being entered in irrelevant fields or if there are errors in data entered by the YTM members in their profile. c) While YTM Website does not accept any obligation to monitor the content/information, if the content/information is found not to be in compliance with these Terms, then YTM Website may delete the content/information and / or terminate or suspend your registration or (without a refund of any subscription paid by YOU in terms of clause 2 (b) of these terms and conditions). YOU agree that if the situation warrants YTM Website may at its sole discretion put restriction on any YTM member to other member's communications on the website. d) YTM Website reserves the right to suspend/delete the profile of the users who appropriate the name, likeness, email address, contact no or other personally identifiable information of another individual and YTM Website also reserves its right to initiate appropriate legal action against such individual/organization, as and when YTM get the knowledge of the same. e) YTM is a brand owned by YTMEML. YTMEML owns, retains and has complete rights in YTM and the Website / YTM Service. f) YTMEML reserves the right to proceed/initiate appropriate steps under the prevailing law against infringement by violators of the its proprietary rights or for illegally copying, modifying, publishing, transmitting, distributing, performing, displaying, or selling of any such proprietary information including using it for commercial purpose in any manner whatsoever. g) In the event we get a complaint against YOU and consequently we have suspended/deleted your profile in good faith, then we shall not be liable to YOU in any manner whatsoever, including for any loss, costs, expenses, or consequence, if any. b) The YTM members agrees and understands that YTM Website may also allow third parties to provide YTM members services on the website and YTM Website may also collect the payment for such third party services to YOU, and YTM Website in this regard can have revenue sharing arrangement with the such third party, however in no event shall YTM Website be liable to you for such third party services. c) YTM Website reserves the right to add/delete/alter/modify/suspend any or all the YTM Services at any time as it may deem fit, without notice. The YTM members are expected to see the change on the Website. a) YTM Website likes to inform you that the exchange of profile(s) through or by YTM Website should not in any way be construed as a matrimonial offer and/or recommendation and / or advice or guarantee given to the YTM member, from/ or by YTM Website. b) YTMEML / YTM Website or its Office bearers shall under no circumstances be liable or responsible to the YTM member or his/her authorized Representative or Guardian or any third party for any direct, indirect, special, exemplary, incidental, or consequential damages of any character including, without limitation, damages resulting from the use of our Website/Third Party website/ YTM services. c) Notwithstanding anything to the contrary contained herein, YTM’s Website's liability to you for any cause whatsoever, and regardless of the form of the action, will at all times be limited to the amount paid, if any, by YOU to YTM Website, for any specific YTM paid package, and no further. d) YTMEML / YTM Website will not be liable in case of any wrong match made due to any available data/profiles from the Website/ YTMEML 's consortium of websites. e) YTMEML / YTM Website or its office bearers shall under no circumstances be liable, if any, YTM member enter into financial transaction with any prospect or third party. f) YTMEML / YTM Website or its office bearers shall under no circumstances be liable, if any YTM member's approaching other YTM members for the matrimonial alliance, is not responded/reciprocated by the other registered YTM member(s). a) The Website shall be deemed to be used by YOU when it is loaded and/or continues to be loaded in temporary or permanent memory of your mobile phone, computer or any other device or in the internet browser thereof. b) Website act's as an intermediary as defined under sub-clause (w) of Section 2 of the Information Technology Act, 2000.
c) In the event YOU file a false complaint against another prospect on our Website and consequently we have suspended/deleted that prospects profile based on your complaint, then we reserve our right to initiate appropriate legal (Civil/Criminal) action against YOU and claim any and all costs expenses from YOU, for such irresponsible/misrepresentation/illegal/unlawful action. We also reserve our right to suspend your profile and forfeit any and all amounts paid by YOU for the YTM services as per clause 2 (b) of these terms and conditions. d) Notwithstanding anything contained herein, YTM Website reserves the absolute right to delete, in any manner as it deems fit, any content of any profile listing placed on YTM website (once such instance come to YTM notice) in order to ensure compliance with the rules of such placement, prima facie accuracy and the prevailing laws in force for the time being, especially those relating to providing any obscene, libellous, blasphemous, slanderous, defamatory or invasive of another person's (deceased or alive) right of privacy or publicity, or that may reasonably be deemed to be harmful, vulgar, pornographic, abusive, harassing, threatening, hateful, objectionable with respect to race, religion, creed, nationality, gender or otherwise unfit for reproduction; or suggests or encourages unfair or illegal /indecent, unlawful activity. YTM Website also reserves the right to block/ delete / suspend the profile which might be offensive, illegal or that might violate the rights, harm or threaten the safety of our office bearers/employees (including undue communication with any employee) and/or other registered prospects. ix) the unity, integrity, defence, security or sovereignty of India, friendly relations with foreign states, or public order or causes incitement to the commission of any cognizable offence or prevents investigation of any offence or is insulting any other nation. Any and all complaints to the Grievance Officer shall be in writing and in the event of any complaint through email; the said complaint shall be digitally signed. For Grievance Officer related information please see clause 9 of this terms and conditions. f) In case of conflict between the terms and condition of Website and terms and conditions of any other website including consortium of portal of YTMEML, the terms and condition of Website shall prevail for the service provided through this Website. g) After the expiry of the YTM paid package, the YTM member's profiles shall remain on Website/ consortium of portals from YTMEML itself, until the YTM member intimate the finalization of his/her marriage/existence of the Website and intimates the website for removal/deletion of once profile. a) Your access to and use of the YTM Services or any content is at your own risk. YOU UNDERSTAND AND AGREE THAT THE YTM SERVICES ARE PROVIDED TO YOU ON AN "AS IS" AND "AS AVAILABLE" BASIS. WITHOUT LIMITING THE FOREGOING, TO THE FULL EXTENT PERMITTED BY LAW, YTM WEBSITE DISCLAIMS ALL WARRANTIES, EXPRESS OR IMPLIED, OF MERCHANTABILITY, FITNESS FOR A PARTICULAR PURPOSE, OR NON-INFRINGEMENT. YTM does not warrant that the Website, its servers, or e-mail sent from YTM are free of viruses or other harmful components. YTM Website will not be liable for any damages of any kind arising from the use of this Website, including, but not limited to direct, indirect, incidental, punitive, and consequential damages. b) YTM Website does not give any implied or explicit guarantee or warranty of marriage or alliance by you choosing to register on our Website and using YTM services (both paid and free). vi) any incident of force-majeure or 'act of god'. vii) Any issue already stated in these terms and conditions including limitation of liability clause of these terms and conditions. viii) Any link to the social media provided through Verified Symbol. You also understand and agree that YTM Website is not counterchecking or authenticating the veracity of the data/photocopies of documents provided by any YTM member while giving Verified Symbol. YTM Members are expected to counter check the veracity of the documents submitted by the prospects while short listing the prospect and satisfy themselves before making a choice of your match through adequate efforts, initiatives and due diligence. YTM Website do not claim the authenticity or ownership of the home or office address scheduled for an appointment as being the member's actual or legal place of residence or employment respectively. YTM Members are requested to exercise due care and caution while shortlisting the prospect and satisfy themselves before making a choice of your match through adequate efforts, initiatives and due diligence. YTM Website will not be liable for any damages of any kind arising from the use of this Website, including, but not limited to direct, indirect, incidental, punitive, and consequential damages. ix) Using/availing of third party services and for paying them through the Website. x) YTM Website shall not be liable for the outcome of during any interaction in a meeting, call, sms, chat, email or social media posts at any point of time. xi) Any issues relating to any technical malfunction of any telecommunication network, software, hardware failures, network congestion, denial of service, failure due to spamming or any combination of the above. d) YOU expressly agree that your use of this Website is at your sole risk. By using our YTM services you agree to defend, indemnify, and hold harmless YTM Website, its subsidiaries, affiliates, Directors, officers, agents, employees (part-time or full-time) and other partners and their employees, fully indemnified and harmless from any loss, damage, liability, claim, or demand, including reasonable attorney's fees, made by any person through improper use of the service provided by YTM Website. This defence and indemnification obligation will survive in perpetuity. YOU agree that if we receive feedback/ complaints against your profile in relation to the facts that YOU are seeking physical / financial favours from our other registered members or have provided incorrect information on our website or committed any unlawful/illegal activities through the use of our website or created a profile on our website by impersonation/ fake/ bogus/ false/ misrepresentation/ without consent of the person who's profile is being registered or use only part information including using photo of third parties without the permission of such third parties or act with other members/employees in indecent/improper manner, then we/YTM Website in good faith reserve our right to suspend/delete your profile at our sole discretion without any notice to YOU, we also reserve to stop all YTM services to YOU and take any action as mentioned in clause 2 (b) of the Terms and Conditions. YTM Website reserves the right to forthwith terminate your YTM membership, block/delete your profile and forfeit entire amount paid as membership fee; if at any time YTM Website, in its sole discretion, is of the opinion or has any reason to believe that, YOU have violated these Terms and conditions of use. We also reserve our right to file appropriate police complaint against YOU, if the breach of these terms and conditions is/are criminal in nature. a) Unless otherwise provided in these Terms and Conditions, YTM membership may be terminated by YTM Website / YOU without assigning any reasons by serving 7 days written notice on the other, all amount paid till date by YOU to YTM Website shall be forfeited. b) Upon termination / suspension of YTM membership, your right to use or access the Website/YTM services will cease immediately. All provisions of this terms and conditions that by their nature should survive termination shall survive termination, including, without limitation, disclaimers, and limitations of liability. Termination of your access to and use of the YTM Services shall not relieve YOU of any obligations arising or accruing prior to such termination. a) The registration of YTM membership and all YTM services / Website are deemed to have been entered into within the territorial Jurisdiction of Bangalore, India. b) The YTM Members unconditionally agree that all such disputes and / or differences if any shall be governed by the Laws of India and submitting to the exclusive Jurisdiction of appropriate court of law in Bangalore, Karnataka, India. ii) Social Verification: Social media account maintained with facebook / Twitter / Linkedin. iii) Reference Verification: The name, address and contact details of your friends / relatives. iv) Identity Verification: Copy of any government issued photo ID Cards like Passport, Pan card, Aadhaar, Election ID Card, Ration Card, etc. v) Professional Verification: Copy of Educational certificate. vi) Employment Verification: Copy of Pay Slip / employment proof with salary. b) If YOU opt to avail our Verified Symbol service offered by us, YOU agree to provide the copy of documents to prove your name, educational qualification, income, family photo, residence / office address, marital status (if applicable) to the Field Executive of the YTM visiting you. Offline verification for Verified Symbol is only applicable to Identity and Professional Verification. Once verification is rendered satisfactory, the member's respective Verified Symbol are activated online. The aim of offline verification is only to check your availability or to check the availability of the applicable documents as provided by the YTM member for the relevant Verification. However, YTM Website does not verify the origin, genuineness, legality of the documents or take any responsibility of the same. Based on the data provided to the Field executive if there is difference in the data provide in your profile, YTM Website reserve the right to suspend the YTM ID. c) If at any time you happen to edit the details which were provided or verified by YTM Website then the Verified Symbol seal will be removed forthwith. d) For Social and Reference Verified Symbol entire details is provided by the member on their own and the same will be visible to the general public. Whereas YTM Website will maintain confidentiality of all copy of the documents provided by YOU in respect of Identity / Professional verification and shall take all possible and /or bonafide steps for maintaining the confidentiality. The same will not be made visible to the others members. However, YTM Website may divulge such information if required by law or to law enforcement agencies or courts without any intimation to YOU. e) If YTM Website has reason to believe that the proof provided by YOU is suspicious, then YTM Website reserves the right to remove the Verified Symbol or suspend, remove, delete the profile at its own discretion. f) Issuance of Verified Symbol would depend upon your willingness to provide copy of the documents or references or tagging of social media accounts. a) Payment made by cash / cheque / Net Banking / Debit / Credit Card would be in accordance with the prevailing RBI guidelines. Activation of paid YTM service shall be subject to realization of the said payment. In case of dishonor of Cheque/demand draft; YOU shall be liable to pay applicable bank's cheque/DD bouncing charges. Further YTM service to your account will be deactivated / suspended until you settle the value of the payment and applicable bank charges in cash. b) YTM Website uses third party payment gateways for collection of credit/debit card or other payment instruments. In case of payment gateway failure the same would be communicated to the YTM member by the payment gateway provider. YTM Website shall not be responsible for Extra currency/conversion charges/deductions/error issues from payment gateway. In the case of failed online transactions, which result in no services, YTM Website offers no guarantees whatsoever for the accuracy or timeliness of the refunds reaching the Customers card/bank accounts through the payment gateway. c) YOU agree to provide us with your Permanent Account Number / Form 60/61 of the Income Tax Act, 1961 and rules thereunder in the event you choose any paid package of YTMEML, the value of such paid package being Rs.2,00,000/- [Rupees Two Lakh Only] and above from YTMEML. a) All YTM paid package users can renew the paid package to carry forward the un-used contacts (Mobile no. viewing and SMS). b) The payments made by YTM member to YTM Website by way of paid membership / renewal fee / auto renewal is /are treated as non-refundable. Payment once made for YTM services cannot be assigned to any person/party or adjusted towards any other product or packages provided by YTMEML. c) YTM members cannot put the paid YTM service on hold even temporarily, for any reason whatsoever. Based on the tenure of paid YTM service and date of payment taken, the expiry of paid YTM service will automatically happen on expiry of the applicable paid package taken by YOU.